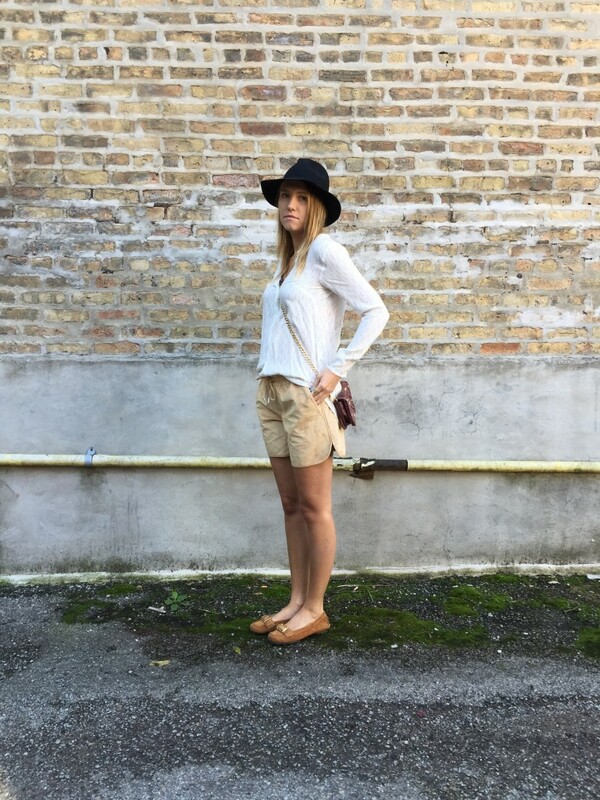 Shirt: H&M; Shorts: Club Monaco; Bag: Badgley Mischka; Shoes: Juicy Couture; Hat: TopShop. I love contrasting fabrics. This light, breezy top from H&M pairs great with these suade shorts from Club Monaco and the worn leather of the Badgley bag. You look amazing, that’s such a great look! Such a cute look! Love that top and those shorts! Such a cute outfit! Loving those shorts and that hat combo. Loving this casual look! Such a cute print on your blouse. 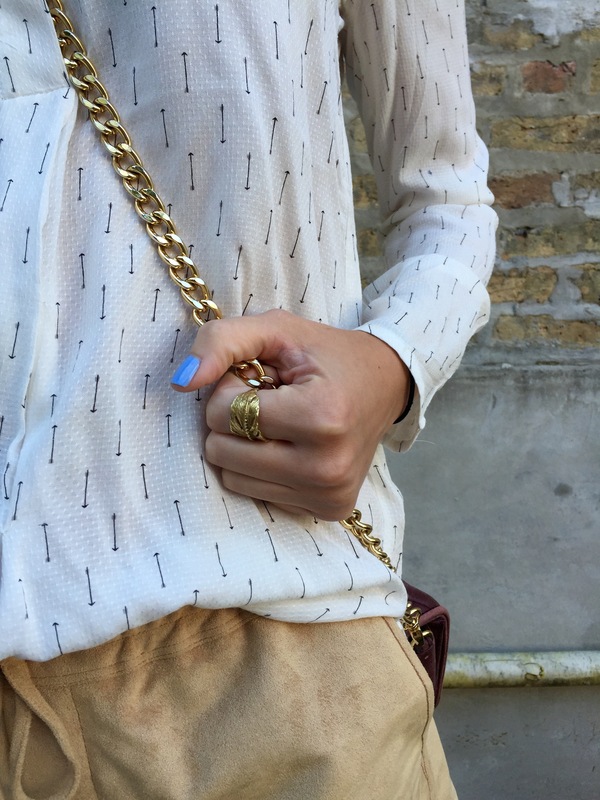 Such a perfect fall transition look! I love how you added the fedora and loafers to that adorable top and shorts combo! Perfect for this time of year and looking gorgeous girly!